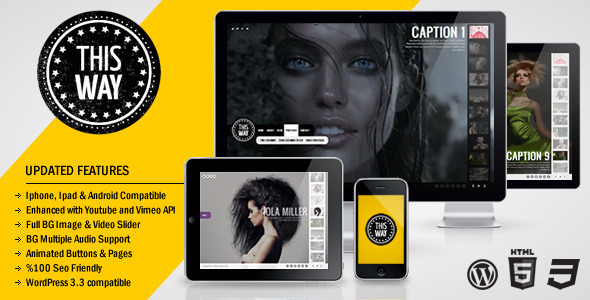 This Way WordPress Theme is designed with HTML5 & CSS3. Full Screen Image & Full Screen Video Background with Audio support. Awesome JQuery animated effect. Twitter feeds and social media links. Easy customization.. Blog and Portfolio with filter..